They tend to want to live with decisions for some time – as a source of "sticky money" they won't flip a multi-year investment proposition after a couple of bad quarters. Over the years studying family offices, Rothstein Kass has developed a number of different segmentation criteria. One very powerful segmentation model is based on psychographics and distinguishes between family offices that are Wealth Creators and those that are Wealth Preservers. Wealth Creators are charged with enhancing or increasing the fortunes of the underlying family. In contrast, Wealth Preservers are focused on ensuring the safeguarding of the underlying family's wealth. In this study the greater majority of the single-family offices can be classified as Wealth Creators, as shown in Graphic 1. 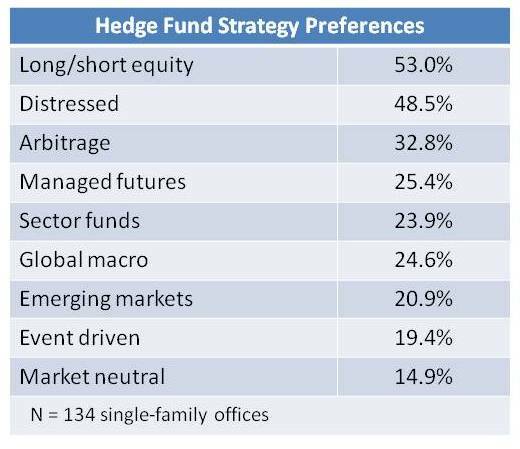 The identification of the correct segment for the family office should be very significant for those marketing hedge funds as it feeds into general risk appetite for hedge funds and into the appetite for specific hedge fund investment strategies (Table 1). This is how Cheryl B. Rogers, Senior Vice President at Forbes Private Capital Partners (which was involved in the research), has experienced these characterisations in practice: "Many single-family offices pursue investment diversification strategies that blend aspects of both wealth creation and wealth preservation. However, most are clearly weighted toward one overarching philosophy that is often dictated by individual family circumstances. 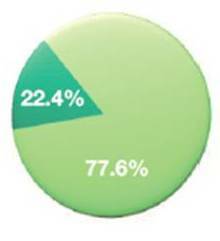 At this stage the alternative investment is sufficiently diverse to offer suitable investment options for investors of nearly all risk tolerances. Wealthy clients nearing retirement, for example, are more likely to pursue a wealth preservation strategy to guard against fluctuations that would negatively impact their lifestyle or restrict the generational transfer of wealth. They tend to gravitate toward alternative products that offer annuity-like returns or hedge more aggressive positions." 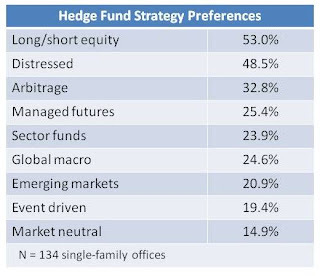 The survey evidence (shown in graphic 2) is that the family offices with a wealth creation investment ethos are more likely to add to their hedge fund investments than the wealth preservers. Part of the motivation for this was expressed by Bruce H. Rogers, Chief Brand Officer and Managing Director at Forbes Insights, one of the research organisers. He said "many high net-worth families are seeking to recoup wealth eroded during recent periods of market weakness. These "wealth creation" investors tend to be relatively less risk averse than those pursuing wealth preservation strategies." Rothstein Kass have a view on this – "investment managers will need to be highly consultative if they are to succeed in generating capital flows from single-family offices." They describe the consultative approach as having three basic components. Central to this approach is profiling the single-family offices to understand: (1) their investment orientation, (2) the roles, responsibilities and professional objectives of the Executive Directors, and (3) the professional ecosystem of each single-family office. The other basic components of the consultative approach are "creating customized explanations of offerings" and "continuously managing the relationship." Here is the meat. The authors of the research say that "when it comes to the consultative process, we regularly find the greatest weakness among (provider) financial firms is in their profiling of family offices." They continue that "investment managers are well served by maintaining an open and ongoing dialogue with family office investors to ensure ongoing alignment of objectives and risk tolerances." While it may be a regulatory requirement to "know your customer", there is a genuine commercial angle here. Successful selling to family offices is much more likely to occur where the selling hedge fund has made the effort to know how the family office actually works, and what the risk tolerances are (wealth creator or wealth preserver), and puts resource into developing a relationship with the key decision makers that goes beyond the immediate need to sell some product. This may be the hedge fund marketers (internal or third party) most important task in the immediate environment. The most common saying in the family office world is, "Once you've seen one family office, you've seen one family office." Profiling is helpful, but it doesn't go very far. Since requires consultation, marketing to family offices is time-intensive. To do it effectively requires a clear selection process. It may help funds to look at family offices as stretched on a continuum between the poles of individual UHNW investor and institutional platform. The newer, wealth-creation-oriented family offices will behave more like their entrepreneurial, often idiosyncratic founders. The older, wealth-preservation family offices will behave more like a bank with an investment platform. Different funds needs to decide which types of family offices they best work with and market accordingly. I completely accept there is a range of risk appetite and process complexity amongst family offices. There are additional complications for marketing to family offices too. 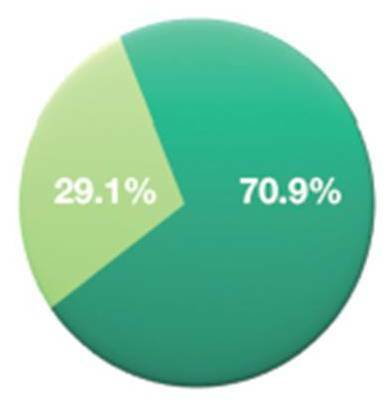 While there is a little publicly available information on funds of funds, and often some more information on pension plans (particularly public sector plans), there is no information publicly visible on most individual family offices. So quite from where family offices are coming (or are placed on the continuum Keith Whitaker described), is nigh on impossible to know without having the co-operation of the family office staff. That is, appropriate marketing will happen only if the professional staff of the family offices commit time to the relationships with the private banks or fund managers. Which is a big ask. The best thing about this page is all the family office information is totally unique.